After the user opens the roof hatch, the post is raised with one hand and self-locks into an upright position. The user can then safely climb from the ladder to the rooftop using the post for a hand hold. 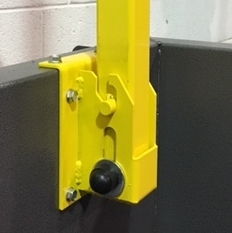 The post can be easily folded down into the stowed position. Overall Dimensions: 34 5/8” x 1-1/2”. Construction: 1-1/2” x 1-1/2” 12 gauge square steel post attached by swivel bolt to welded 10 gauge steel plate mount. Mounting: Mounts to front inside of the curb with six self-tapping 3/8”-14 screws. 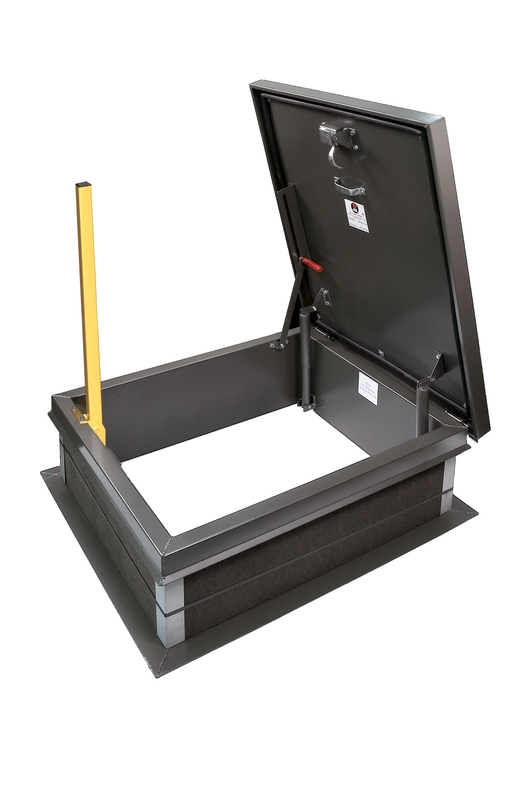 Notes: We recommend a Saf-T-Hatch rail system in addition to the EZ-Up LP-6 Safety Post for greater safety.